Weston's of 104 Wool Exchange, London E.c. Might this be the British arm of the American company? 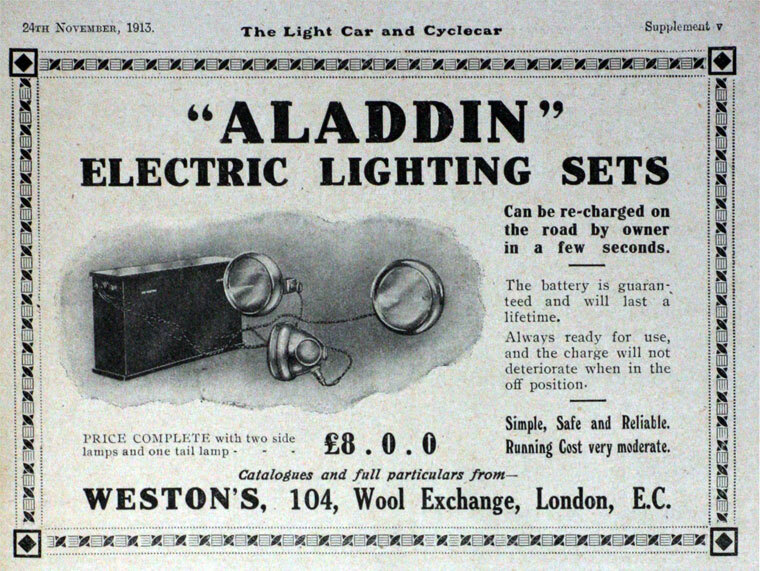 1913 Aladdin Electric Lighting Sets. This page was last edited on 21 July 2017, at 17:06.